Monster Hunter fans will find a lot to dig into with Monster Hunter Generations Ultimate. Monster Hunter Generations Ultimate is still Monster Hunter– a bit rough around the corners, maybe, and not quite as welcoming and accommodating as some newer fans may expect, but it’s still Monster Hunter. The core loop of taking on a quest, tracking a monster, fighting it, whittling down its health, killing it, and using its carcass to create more powerful weapons and armor to take on still more powerful monsters remains compelling at its core, and that hasn’t changed here either. That is where Monster Hunter Generations Ultimate is ultimately at its strongest- it’s an undiluted Monster Hunter experience, through and through. Very few concessions are made to the player, and if you want to take on the almost one hundred behemoths in this game, you must master your weapon, master the maps, master the game’s systems, memorize the enemy’s patterns, and be very careful. And yet, as difficult as Generations Ultimate gets, it’s never unfair- you still have all the tools at your disposal to prevail, the game just won’t baby you until you learn how to use them. And the monsters here are truly ferocious and imaginative beyond belief. Unlike Monster Hunter World, which caps off at under 50 monsters, most of them wyverns, Generations Ultimate has more than double the number, each unique, each differentiated, each gruelling and challenging. Taking on these monsters feels incredible, and few feelings in gaming can match the rush of triumph you feel as you finally prevail over a beast that had been giving you hell for hours now. "If you want to take on the almost one hundred behemoths in this game, you must master your weapon, master the maps, master the game’s systems, memorize the enemy’s patterns, and be very careful." All fourteen weapon types that are hallmarks of the series are in Generations Ultimate, and you can switch among them as you please, as always. 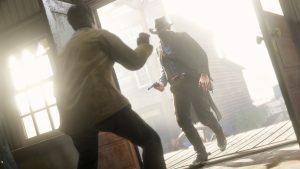 Each controls completely differently, and has its own heft and swing, its own properties that make it uniquely suited to some player, and there’s a training arena for you to get used to them and their intricacies. But the best way for you to come to grips with the staggeringly deep mechanics each holds and offers is to use them in battle and understand how they fare against your monstrous quarries. Returning to the game from the original Generations on 3DS are Hunter Arts and Hunter Styles- the latter almost acts as a sort of “class” for your character, while the former are special moves you can use in the heat of battle. Two new Hunter Arts have been added to the game- Valor Style, a hugely advanced style that high level players can use to gain a special stance, and Alchemy Style, perfect for players who want to play more in the support role. Hunter Arts and Styles remain fun, and end up mixing up the combat quite well. They add to the game some of the kineticism it otherwise lacks next to its more contemporary successor, and truly skilled players can wreak havoc with them. But the one thing that Generations Ultimate has, which I believe will truly appeal to Monster Hunter vets, even those who may otherwise have fallen in love with World, is the G-Rank. The highest rank for quests and hunts was missing in the original Monster Hunter Generations, and is so far missing in Monster Hunter World, too- if you truly want to test your mantle against these beasts of fury and nature, no other game gives you as much of a chance to do so as Generations Ultimate, with almost one hundred monsters for you to square off against. And yet, in spite of this, Monster Hunter Generations Ultimate is a victim of the circumstances surrounding its release a bit, which any new fan, at least, who cut their teeth on Monster Hunter World, and are ow looking for more Monster Hunter, needs to be aware of. "It’s a bit of a culture shock going back from the kinetic and smooth Monster Hunter World to the more claustrophobic Monster Hunter Generations Ultimate." 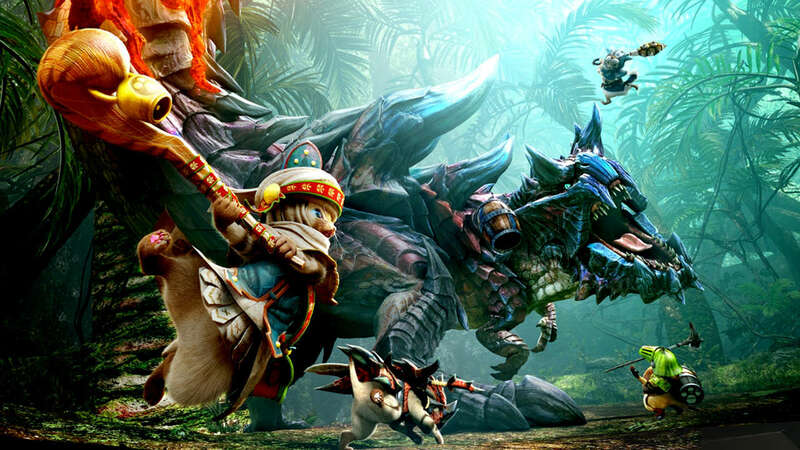 When Monster Hunter Generations launched on the Nintendo 3DS, it was meant to be a capstone to ten years of Monster Hunter, and a celebration of the series as it had been until then, combining everything fans had grown to love in the franchise until then, and delivering the most content packed game in the series yet. Monster Hunter Generations Ultimate was meant to be an expansion of even that, with even more content for fans. In Japan, Monster Hunter Generations Ultimate capped off the 3DS era of the franchise (albeit it also got a Switch port), before Monster Hunter World ushered in the fresh, modern era the series now finds itself in. That was a logical progression. 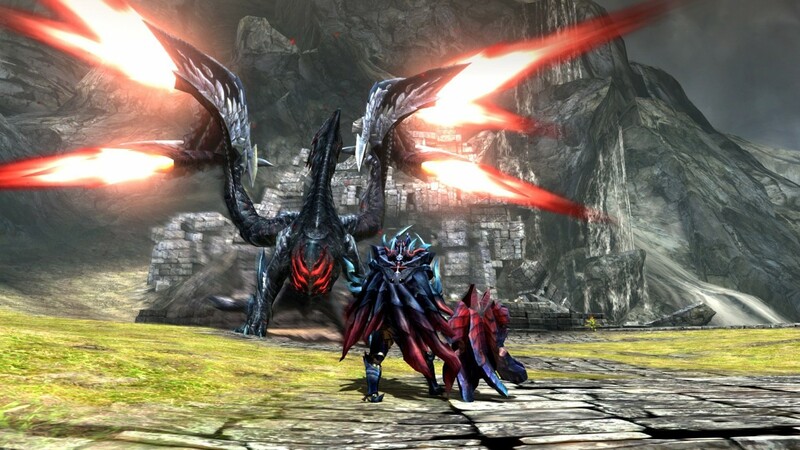 In the west, Monster Hunter Generations Ultimate, which is the capstone to the fourth generation of Monster Hunter, arrives after Monster Hunter World, the beginning of the fifth generation, is already out. And while Capcom have ported only the Switch version of the game, and the Switch version has some fair enhancements over the base 3DS game, all the window dressing and fronting in the world can’t take away from the simple fact of the matter: this is a port of an expansion of a 3DS game that was, to begin with, a greatest hits remix of yet more 3DS games, releasing at least a year too late, and feeling painfully out of date and cramped, especially next to its brethren that launched earlier in the year (earlier in the month if you’re on PC). It’s a bit of a culture shock going back from the kinetic and smooth Monster Hunter World to the more claustrophobic Monster Hunter Generations Ultimate. 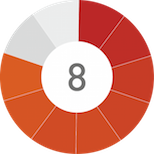 Maps are no longer continuous, and are back to being broken down into segments and sections. Turf wars, food chains, environmental cycles and factors, no longer count for as much as they do in World, if at all. You can’t teleport across the map, scavenging quests require you to deposit your items before they are considered complete, you don’t get the option to turn on damage numbers, and everything feels slower, more constrained, limited. Weapons control differently (almost universally feeling stiffer), the camera control clearly betrays the game’s mono-analog 3DS roots, the lack of QoL improvements, from scoutflies to non-consumable items like whetstones, feel like a step back, and the game, a relic as it is from a pre-World era, when you literally had to open up articles on Wikis and fansites to keep track of your gear upgrade trees and item drop rates, feels almost unwelcoming, even to someone who has been with the franchise since its PSP days. "The allure of portable Monster Hunter must not be discounted or underestimated- yes, there are severe cutbacks and compromises compared to its big brother on consoles, but Generations Ultimate is still fundamentally Monster Hunter, on the go- and for many, that’s more than enough to warrant a purchase here. " All of this is to say, Monster Hunter Generations Ultimate is decidedly an inferior experience to Monster Hunter World, and feels like small consolation to those who miss having Monster Hunter on the go. And yet, in spite of all of my many complaints, it’s still Monster Hunter. And, in addition to the many great things about Generations Ultimate that I have already noted above, there are still some other great things to consider here- for instance, local co-op is back in this game, which World totally got rid of (shockingly enough). Meanwhile, Generations Ultimate goes back to having separate campaign progressions for single- and multiplayer- for good and for bad. There are many players who prefer it that way, and they are sure to enjoy Generations Ultimate for that. 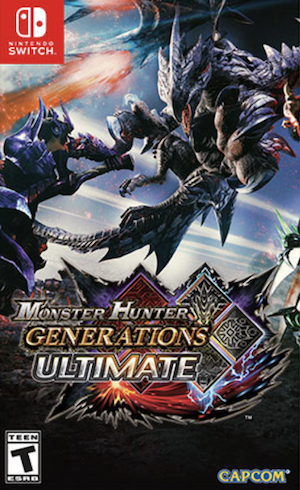 Prowler Mode, which lets you play as a Felyne, and was missing from Monster Hunter World, also makes its grand return in Generations Ultimate, giving players yet more variation to experiment with (and novices an “easy mode” to take on some of the more fearsome monsters in the game). 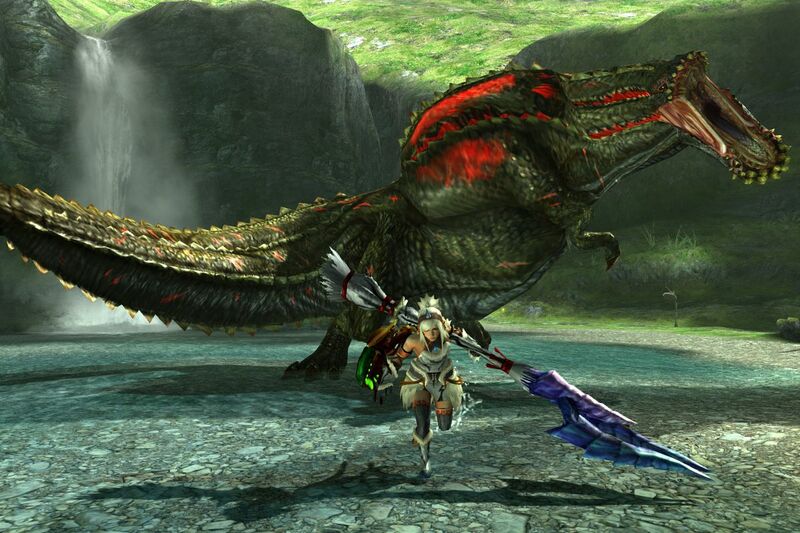 Finally, the allure of portable Monster Hunter must not be discounted or underestimated- yes, there are severe cutbacks and compromises compared to its big brother on consoles, but Generations Ultimate is still fundamentally Monster Hunter, on the go- and for many, that’s more than enough to warrant a purchase here. 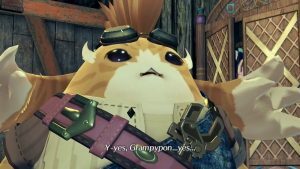 It’s a game that will appeal to many audiences- those who want portable Monster Hunter, those who want more Monster Hunter, those who want G-Rank, those who want a mix up of the combat systems in World, those who want to see what older Monster Hunter games were like, and, simply enough, those who want more Monster Hunter, which World, for all its merits, can’t yet provide with its paucity of post-launch support. As long as you are clear of the game’s many deficiencies, you will enjoy what it has to offer here.